Doing our best for God is important. None of us is perfect. We just have a desire to give God our best in all that we do as we serve Him. People seek to do something significant with their lives. People are encouraged to discover their passions and serve God with their best. What defines an automobile? Round wheels, an engine, and some (hopefully comfortable) seats. Those elements are present in every car on the road today, whether in a $600,000 Lamborghini Aventador or in a $600 1982 Toyota Corolla. Despite their dramatically different price tags and their noticeably different outward appearance, both cars share something in common: if the parts on the inside aren’t working properly, neither one can fulfill its primary purpose! At Open Arms Church, we understand that the most important thing is not outward appearance, but how the “parts on the inside” are working. It takes much more than professional landscaping, ample parking, and nice signage to make a functional church. Just like a car, and just like the human body, when all the members of the body of Christ are working together and performing their own function, the body is healthy and can achieve its primary purpose. Earlier in the same chapter of 1 Corinthians, we find more details about how God has equipped each member: “Now there are varieties of gifts, but the same Spirit; and there are varieties of service, but the same Lord; and there are varieties of activities, but it is the same God who empowers them all in everyone. To each is given the manifestation of the Spirit for the common good. … All these are empowered by one and the same Spirit, who apportions to each one individually as He wills.” We might not automatically know what gifts have been given to us by the Spirit, and thus how we are to function in the body, but Scripture states quite clearly that all believers have them for the purpose of advancing God’s kingdom (see Ephesians 4, Romans 12, 1 Corinthians 12&14). 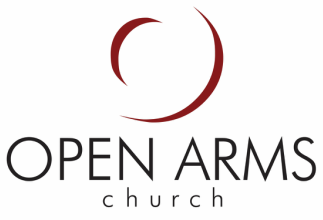 At Open Arms, we encourage and challenge those who have become a part of the body through membership (CLICK HERE for more information about how to become a member) to discover what God has uniquely given them to share with this local gathering of His body. It could be something behind the scenes like folding programs or moving chairs; it could be something outdoors like mowing the lawn or watering flowers; it could be something more public (more information about all of the opportunities to serve at Open Arms can be FOUND HERE). We are blessed that about 80% of our church family serves in one or more of these areas – a statistic that is quite unusual in many church settings today! Therefore, service at Open Arms is not about “filling a hole” nor simply a “requirement” of membership, but about each one of God’s children finding joy and fulfillment as we serve the Lord in whatever ways He has equipped and gifted us to serve. Regardless of how we are gifted, and regardless of the ministries in which we serve, we all share in one common aim: “Whatever you do, work at it with all your heart, as though you were working for the Lord and not for people” (Colossians 3:23, GNT).